Isn’t that the actual worst!! RICE: Rest. Ice. Compression. Elevation. Also a lacrosse ball massage. I’m always straining calves and hamstrings in my martial arts training. This helps. First time in a long time that I feel like I have 0 idea what I’m doing in a gym – front squats. Never done front squats before in my fitness career, never saw the advantage over proper squats. It feels SO unnatural. I hope it gets better. @tmac I am with you. My approach is much less complicated, I just try to ride the bike a crap-load of miles. I rode a total of 134 miles last week. Legs feel like JELL-O (Melon), but it keeps me occupied. I’ve lost about 10 pounds already just riding hard everyday and not pounding beers after work. Went for a run tonight (walk/jog). Same! Endurance sports are the way to go. Running, biking, swimming, or if you wanna start doing this. 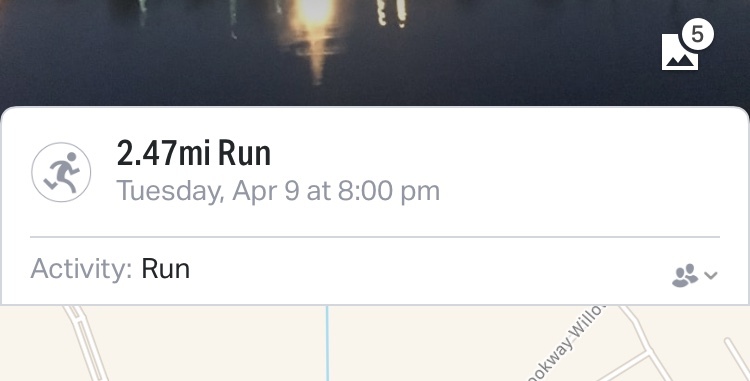 I run. 60 to 70 miles a week and I always have a goal race to train for. Healthy addict plus having that race give you an extra reason. You don’t need a gym. Add push-ups, sit-up, and body weight stuff to hit the whole body. I am a little bias, but endurance sports! @TMAC - it will get better! the first times I did front squats I was like WTF?! I couldn’t get the shoulder rotation far enough to get my elbows high. I needed to separate it in my mind front a back squat and change the expectation on myself until I got comfortable with the different type of balance required. With any new movement, or one that I don’t do often, I find it awkward and hate it. But if I keep at it, it gets better, which is cool. It is good to mix things up. My current hatred is overhead squats. I struggle with the balance required. But with anything I hate, I know I just need to keep at it and then in time it gets better. Skipping rope, plus weighted kicks, plus speed kicking a sharpshooter bag. Thanks. I ended up doing them with modified arm position. I can’t do it where you have the bar on your shoulder fronts and then bend your arms back to hook your fingers around the bar. My arms simply don’t bend that way, at least right now. I did the version where you cross your arms around the bar, while the bar is on your front shoulders. Still super uncomfortable, but doable. It doesn’t help that my back is acting up! I agree though…change is good. I’d been doing the same stuff for a long time, and results stalled big time. Hoping the new plan will help mix it up. Today was a little of everything: endurance, strength and power. 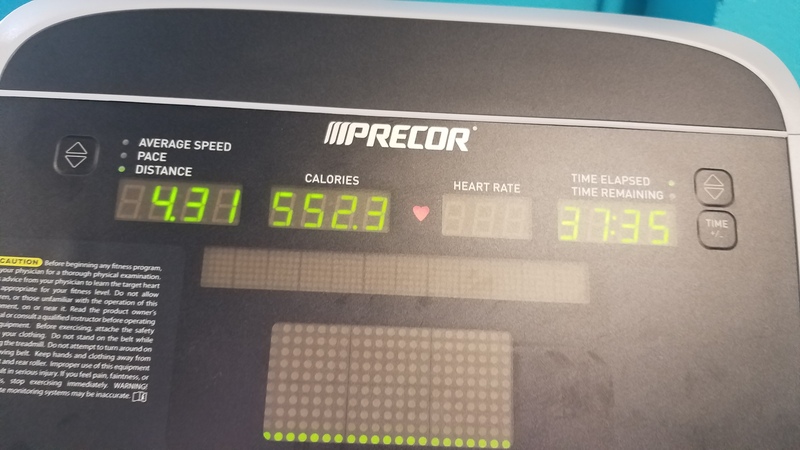 Hurt my right hip somehow, so I wasn’t able push myself on the treadmill for cardio. Lets keep rocking April, people! Swimsuit season right around the corner!!! Except for people like @funnydad that can take a dip year round!! !